Periodontal disease refers to chronic inflammatory disease that is marked with the presence of resorption of alveolar bone, inflamed gingival, bleeding on probing, and detachment between tooth and its adjacent alveolar bone. Periodontal therapeutics encompasses non-surgical treatment of periodontal diseases. As per the records of American Academy of Periodontology, the occurrences of periodontal disease are reportedly the highest amongst various ethnic minorities. As per them, around 63.5% of the Hispanic-Americans, 59.1% of the non-Hispanic Blacks and 50% of non-Hispanic Asian Americans have been affected by this disease. Periodontal disease if left untreated leads to persistent inflammation that result in augmented resistance to insulin, increased risk of complications related to diabetes, and diminished tolerance of glucose. According to Colgate-Palmolive, globally renowned company of consumer products, by the year 2025, globally the number of individuals who would be affected with diabetes will be 300 mn. It also estimates that most of the patients will hail from China and India. Increasing consumption of tobacco is at the frontline of propelling the demand for periodontal therapeutics. In addition to that, technical advancement, growing emphasis on research and development work, and the burgeoning number of patients of diabetics are proving to be advantageous for the said market. Colgate-Palmolive, a multinational consumer products company, estimates that about 300 million will be afflicted with diabetes by 2025 and most of them will be from India and China. There are, however, setbacks for the world market for periodontal therapeutics. There is an availability of soaring number of preventive gum and dental care products meant for treating and preventing gum and dental and gum problems. There is also lack of reimbursement policies that backs periodontal therapeutics in several countries. When it comes to geographical segmentations, North America has ruled over the global market for periodontal therapeutics. The region accounted for a market share worth over 40.0% in the year 2015. Reasons for such large market share of North America in the international market for periodontal therapeutics is due to supportive reimbursement policies, product diversification and innovation, fast expanding base of geriatric population, and increasing incidences of periodontal diseases. As per the records of Center for disease control and prevention, around 47.2% of the adult population who are aged 30 years and above would suffer from some form of the disease or the other. This factor, together with the growing awareness amongst the people about periodontal disease has been estimated to offer immense opportunities for the said market in the region of North America during the timeframe of forecast. According to the report, the market in Asia Pacific is forecasted to lead the market when it comes to the rate of growth during the report’s forecast tenure. Several factors that contribute to the market growth comprise growth promoting factors like expanding pool diabetic patients, supportive policies of healthcare insurance, increasing public awareness, and fast population expansion. Increasing initiatives by the government, ongoing research and development in the healthcare segment, presence of immense unmet healthcare needs, and burgeoning medical expenditure in developing economies like China and India are propelling the market Asia Pacific region. 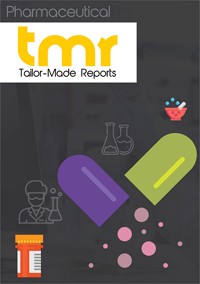 The world market for periodontal therapeutics market is considered to be a quite a consolidated one with the presence of very few market players that account for most of the market share. Valeant Pharmaceuticals international, Inc., LLC Dexcel Pharma, Den-Mat Holdings, and 3M, Galderma S.A. are the eminent players of the market. In the year 2015, companies like Den-Mat Holdings, Valeant Pharmaceuticals Int. Inc., and 3M appeared as the top three organizations in the market and collectively they held a lion’s share of 77.7%. A prominent trend that has been observed in the world market for periodontal therapeutics is increasing research on the research and development work that would bring about better and more effective therapies by these topnotch players.